So Guys, you want to get away with checking out hot girls at the beach without getting caught by your missus whilst she's tanning herself for tonight's catwalk of shame?!? Well, look no further then these eyeball protectors from Le Specs new summer range. 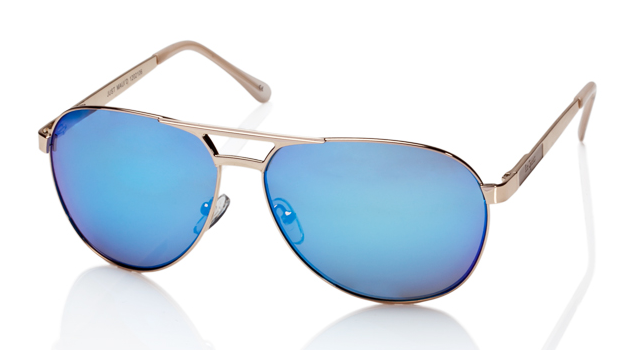 I've managed to pick these blue and gold aviators out of a beautiful bunch of stunner shades that are sure to keep you looking more smoking than Snoop Dogg's "grass" collection. What's cooler than being cool?! ?...you of course in these shades of perfection....no longer will people be able to say "You should of gone to specsavers" whilst wearing these things.....If your bored of the 'Ban's well rest assured people....Fonzy's back and he means business!! !